3 decks. Average. Unlimited redeals. 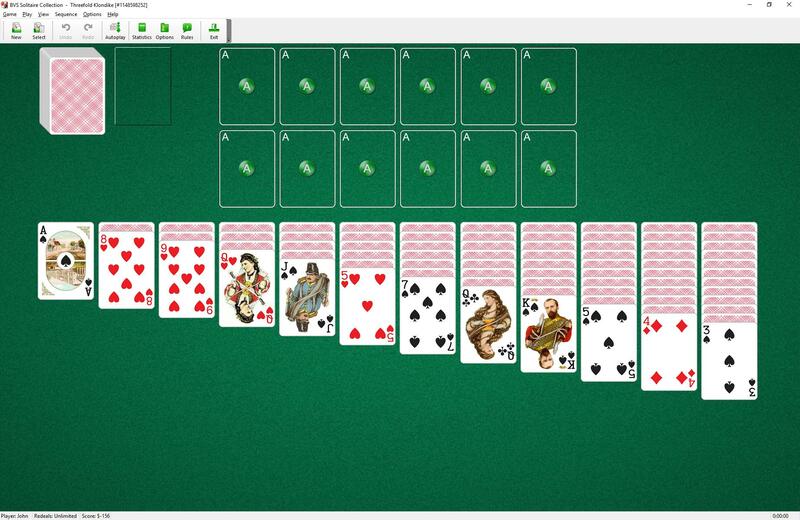 This solitaire uses four decks (156 cards). 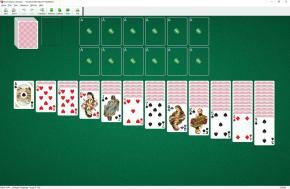 You have 12 tableau piles with the number of cards per pile increasing from one to 12 from left to right. The top card in each pile is face up. The top cards of tableau piles and the waste pile are available to play. You may build tableau piles down in sequence and alternating color. One card or group of cards in the proper sequence can be moved from pile to pile. If, during play, any closed cards become the top card of a stack, it is automatically turned over. Empty tableaus may be filled with a King or group of cards headed with a King. When you have made all the moves initially available, begin turning over cards from the stock pile. 3 cards at a time are turned over from the stock. You can move cards from the stock pile to the tableau piles and to the foundations according to the rules above.